If forgiveness is strongly related to health, and being wronged is a common experience, and interventions, even do-it-yourself workbook interventions, are available and effective, then one might make the case that forgiveness is a public health issue. I think one of the most important things that forgiveness researchers must emphasize, though, is that forgiveness does not mean condoning or justifying an act. It does not require an absence of sanctions. It does not free transgressors from the consequences of their actions. What changes is the motive: When we forgive, we don’t enact justice just to see a transgressor suffer. Justice, including punishment, happens to provide amends, to restore equity, to communicate a message to the transgressor about the wrongness of their act, and to deter future transgressions. If forgiveness is related to health (it is), if forgiveness is good for individuals, for relationships, and for organizations (it is), and if forgiveness can be learned (it can), then one of our first orders of business should be to show people a path towards forgiveness that does not require them to be doormats, and does not require them to temper their pursuits of justice. Over at Maclean’s, there is an interview with Philippe Lagassé in which he offers a limited defence of Ottawa’s recent, ill-received public survey on electoral reform (mydemocracy.ca). But here’s the challenge I see, even if we start from the premise that it’s useful to help people think through the tradeoffs that shape their preferences for electoral systems. The questions the survey asks are not designed in a way that elicits careful consideration about tradeoffs. Here’s an example, scored on a Likert scale from 1 (strongly disagree) to 5 (strongly agree): “A ballot should be easy to understand, even if it means voters have fewer options to express their preferences.” Later, it presents a similar question as a forced choice between two alternatives: “Ballots should be as simple as possible so that everybody understands how to vote OR ballots should allow everybody to express their preferences in detail. These questions do speak to a genuine tradeoff associated with different electoral systems. One gripe with this kind of question (the most common one I’ve seen on Twitter) is that it fails to consider how well-designed electoral systems might reduce the steepness of these tradeoffs. (I.e., there are good ballot designs that manage to allow for more expressed preferences at modest cost to simplicity and clarity). But with the understanding that these tradeoffs exist, this survey does little to capture the ideal balancing between the considerations. In the first question above, it sets it up as a gain in one area and a loss in the other (a gain in clarity, a loss in options). There’s ample evidence about how gain and loss framing impacts judgment. In the second question, it does address the tradeoffs a bit more fairly, but presents it as a stark, dichotomous either-or rather than a balancing act. MyDemocracy is meant to be about tradeoffs and priorities, but instead offers dichotomies or imbalanced comparisons between gains and losses. Asking people to rank considerations, or to choose along a continuum between competing priorities (as in the question above), would allow people to give appropriate consideration to those tradeoffs. The total lack of genuine tradeoff thinking is also present in the section on “priorities” on MyDemocracy, which asks you to choose which of several considerations are “most important” to you — without limit. You can choose all of them! What possible insights into one’s priorities might such a measure yield? I doubt this was the intention, by the way. Cynically, I suspect the real intention here is to defend the status quo or create deadlock by highlighting the risks and costs of various alternatives, and to signal that one change (proportionality, barely discussed in the questions) might be accompanied by a raft of other changes (mandatory voting, online balloting, changes to the voting age). If this was the intention, than this is a very, very fancy push poll. But even if Lagassé is right, and even if this is a legitimate and well-intentioned attempt to have people think about tradeoffs and the consequences of electoral system design, it still fails. At the end, the payoff for this thing is still an archetype — how you fit in a cluster. (I’m an “innovator”, MyDemocracy helpfully informed me). It doesn’t create a bridge to help you connect your values and intended outcomes to electoral systems that would reflect those values or achieve your preferred outcomes. This could have been useful with Vote Compass (fitting people’s attitudes to a party label could help them with their voting decisions). But here? It’s useless. It didn’t have to be. It could have been educational, helping voters develop informed opinions about about how different electoral systems might reflect their values, or helping them learn how the design of electoral systems could help reduce the steepness of each of these tradeoffs. Almost a decade ago in Ontario, a referendum was held on a mixed-member proportional representation system recommended by a citizens’ commission. The citizens’ commission was a wonderful piece of deliberative democracy — but it fell short at the ballot box, in part because “…people didn’t know what the issue was. They didn’t know what mixed member proportional stood for, so [its defeat] was not a surprise.” A tool like this could have been used to help build a more informed electorate, to ready voters to weigh proposed reforms. But as it stands? It offers nothing. Investing time filling out the survey leaves the respondent no better equipped to understand MMP or STV or any other system, or how those systems might reflect their values, preferences and priorities. Ever been on a team that’s too big to function properly? Organizations often stuff teams, workgroups, and committees full of members. Perhaps they’re hopeful that many hands will make light work. Maybe they want to get more perspectives, skills and resources. Or, more likely, it’s just easier to add one more seat to the table than risk the hurt feelings of leaving someone out. Some interesting new work from researchers at the University of Queensland and University of Toronto suggests that trust may be harder to cultivate in larger teams. The researchers had people rate the trustworthiness of hypothetical small (versus large) companies and towns. People tended to think of smaller firms and people in smaller towns as more likely to behave in trustworthy ways. They also had people imagine a small versus large crowd of people. Again, people thought of people in small crowds as being more trustworthy. Job applicants thought the smaller group would be more trustworthy and would make a more favourable decision. They felt the smaller group would be both warmer, but also more competent and capable. (1) Gut feelings can be a self-fulfilling prophecy. If the researchers are right and there’s a deep-seated connection for people between group size and the trustworthiness of their members, this can matter. If we enter into a new team and treat others as if they’re suspicious or ill-intentioned, it’s often reciprocated. Distrust can spiral as people refuse to cooperate, delegate, or share information. Don’t expect that a large team, even if filled with very trustworthy individuals, will treat one another trustingly. (2) Aim for the “minimum-viable team size”. Rather than starting with a laundry list of everyone who might be interested, useful or helpful, begin by asking: What is the absolute smallest team of people who can bring what it takes to execute the task at hand? Let this core group begin the work, and let them choose to add others as resources, skills or connections are needed. (3) Make big teams feel small. When working in large groups, consider breaking them into smaller subgroups, even at first, to capitalize on the mental “small=trustworthy” shortcut we seem to take. You may also want to draw on comparisons: Emphasize the smallness of a working group relative to the entire organization, or the smallness of a firm in relation to its competitors. Or, simply think of size and trust as a tradeoff: If you anticipate benefiting from a larger team, accept that more time and effort spent in initial trust-building is the price that needs to be paid. What this diagram shows is a double-edged sword to feeling trusted at work. When we’re trusted by our managers and others, it comes with high perceived expectations. We feel the job requires more of us, and that we’re expected to do a great deal. And, we worry. We worry that we won’t be able to live up to those expectations. We worry about maintaining the reputation that earned us that trust in the first place. These two things together result in emotional exhaustion (feeling spent and burnt out), reducing your job performance. This is changed in complicated ways by pride: Feeling trusted creates pride, which reduces emotional exhaustion. But it also amplifies the reputation maintenance concerns that increase exhaustion. So what can we make of this result? We know from previous research that feeling trusted can build self-esteem and lead people to go above and beyond in their work. But this new study suggests that some of these gains might be eroded if those we trust end up preoccupied with worry over meeting ever-growing expectations. Are you trusting people with tasks they actually feel confident in doing? I would imagine that both perceived workload and reputation maintenance concerns would increase as people get handed tasks that aren’t really in their wheelhouse. You need to make sure that people feel as confident in their own abilities as you do. The so-called “rental economy” (or sharing economy, or collaborative economy, or whatever you’d like to call it) is fundamentally about sharing resources. People can now directly rent out their cars (Getaround), seats in their cars (Uberpool), clothes (Kanzee), and even rooms or apartments (AirBnB). There are, of course, lots of models where a firm owns the resource being shared: Hotels own rooms, Zipcar owns cars, Rent The Runway owns dresses. 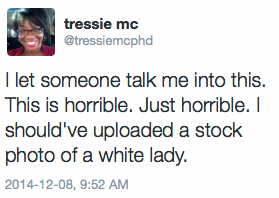 But the examples I mentioned earlier are different, because individuals own the resource they are sharing. Sharing involves risk: If you share a designer bag with a stranger on the internet, you’ve got to believe it’ll come back in good shape. If you use Uberpool to arrange a carpool with strangers, you want to make sure they’re not going to be axe murderers. And, of course, if you rent out your condo on AirBnB, you want to be reasonably assured that it won’t be trashed by methheads. But the broader issue I see is this: The real challenge for the social economy is to create means of building trust between dissimilar people. 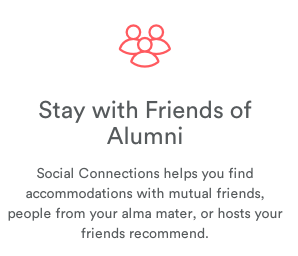 For rental and sharing systems to not simply reinforce and deepen homophilic trust bonds, providers like AirBnB need to build systems that create intergroup trust and help sharers trust those who are not like them. In some ways, the sharing economy could be a place where intergroup contact happens, and we know that contact reduces prejudice. 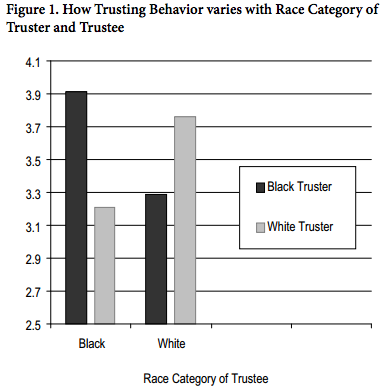 But if trust mechanisms in the sharing economy boil down to profile pictures and social network graphs, I think it’s fair to expect the sharing economy to reproduce and exacerbate racial segregation. Does Commuting Reduce Political Participation? Is your commute to work sapping your will to be a good citizen? A new paper in American Politics Research (gated; ungated) by three researchers at the University of Connecticut suggests this could be the case. They find that those with long commutes to work are less likely to participate in politics. Voting, contacting a government official or elected representative, campaigning, signing a petition, giving money to a political organization or volunteering for an organization or campaign — the longer your commute to work, the less likely you are to be an engaged citizen. This isn’t only a matter of not having time, since hours spent at work doesn’t change participation. And it’s not only a matter of living in a politically-apathetic ‘bedroom community’ or commuter-filled suburb, since commuting time still matters even when controlling for various community characteristics. So why does commuting make us less politically active? Drawing on ego-depletion research from psychology, the authors frame commuting as a “daily grind” of stressors that reduce the resources and energy needed to actively engage in politics. Consistent with a resources perspective, the authors find that having income helps buffer the adverse effect of a long commute. Airbnb learns the hard way: Assurance erodes trust. Airbnb is a service that allows people to open their homes to houseguests. It’s turned couchsurfing into a high-growth business model that has hoteliers scrambling and investors looking forward to an IPO. But there’s a challenge for Airbnb: With people opening their doors to total strangers, how do you keep everyone safe? A couple years ago, an Airbnb user had their house ransacked by thieves, while another found out the hard way that the guests renting their home were meth heads. 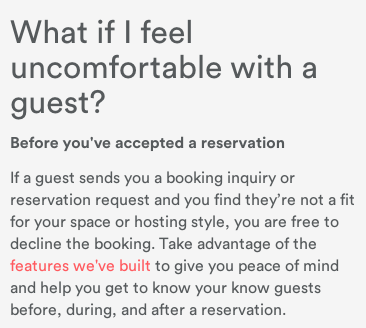 For Airbnb to scale up and succeed, they needed to make protect guests from unscrupulous hosts, and hosts from larcenous or destructive guests. Things began well, with Airbnb extending a million-dollar insurance policy to its hosts. Except when “building trust” means asking for unnecessary assurance. This for me captures a main problem with so many of the approaches to online trust: Trust is not assurance. Trust is the expectation that you won’t have to use the million-dollar insurance policy, not the assurance that you’ll be protected if the guest is a thief. When you ask for layers of assurance on a relationship that was already trusting, you risk backlash: We’ve done business together! Why do you suddenly need more ID from me? If you don’t buy that assurance crowds out trust, try this experiment at home: Approach your spouse and ask them to sign a post-nuptial agreement. 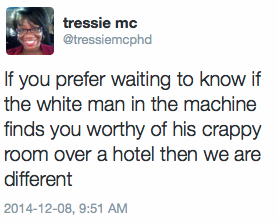 See how well the argument that you’re just “trying to build trust” goes for you. One of the keys to maintaining trust is to rely on that trust. When you replace trust with assurance (asking your long-trusted spouse for a contract you shouldn’t need; asking a long-trusted customer for identification that you shouldn’t need), you crowd out trust. 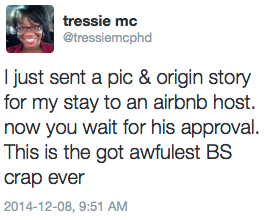 Airbnb seems to be learning this basic lesson the hard way. This term, I asked my students on their exam to give me one strong argument about the benefits of trust and the costs of distrust. Nobody mentioned the Doritos Loco Taco. But the Doritos-shelled taco, that neon-orange fast-food abomination, offers a vivid example of the power of incomplete contracts and trust in allowing cooperation to occur. The upshot of this approach? So, when someone next asks you: What’s responsible for America’s obesity epidemic? You can now confidently answer: Incomplete contracts and trust.